McIntosh’s new flagship SACD/CD player is built around a newly designed digital circuit which encompasses a new premium-quality 8-channel, 32-bit upsampling PCM/DSD digital-to-analogue converter (DAC). Incoming audio signals (PCM) benefit from upsampling to 32-bit/384kHz resolution for improved sound quality and the MCD600’s Quad Balanced mode configuration dedicates four DAC channels to each channel (left and right). In addition to disc playback, the MCD600 can also play music from flash drives from a conveniently located front panel USB input. Numerous file formats are supported including AAC, AIFF, ALAC, DSD (up to DSD128), FLAC, MP3, WAV (up to 24-bit/192kHz) and WMA. User-generated CD and DVD Data Discs are also supported. The MCD600 includes both fixed and variable balanced and unbalanced outputs; the variable outputs combined with its volume control allow the MCD600 to be connected directly to a power amplifier without needing a preamplifier. 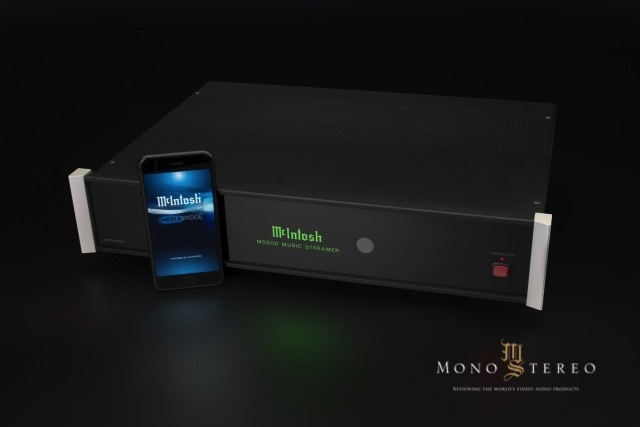 For added flexibility and the benefit of McIntosh-quality D/A conversion for connected devices, coaxial and optical digital inputs are included. Headphone users can also benefit from McIntosh’s proprietary built-in High Drive headphone amplifier with 6.35mm front panel headphone output. Coaxial and optical digital outputs enable convenient digital connections to external devices, too. The MCD600 features classic McIntosh styling with a polished stainless steel chassis, black glass front panel, illuminated logo, knobs and aluminium end caps. The front panel features new direct-LED backlighting, while the top has a new screen-printed glass panel listing performance specs and a block diagram. 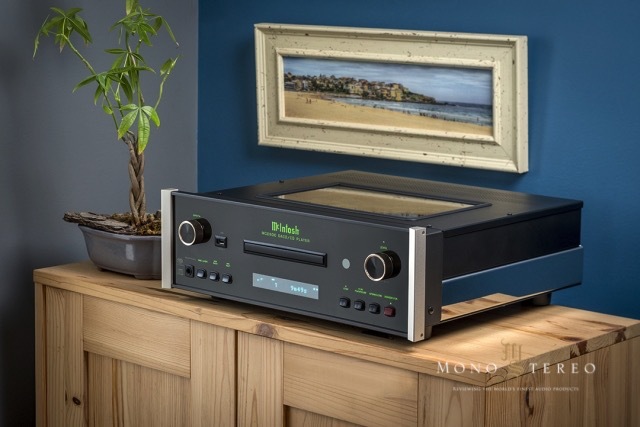 McIntosh’s flagship streamer is highly sophisticated and yet easy to use and effortlessly integrates into home audio systems and networks. The Linux-based MS500 combines both internet-based music streaming services, including Tidal and Spotify®, and locally stored digital music, including lossless files with up to 24-bit/192kHz resolution, into one device with McIntosh’s legendary audio standards. The MS500 offers ultra-quiet operation, thanks to two key features: local music and the operating system are stored on a durable 500GB solid-state drive (SSD) with no moving parts, plus a new fan-less processor (combined with improved ventilation) eschews the need for noisy cooling fans. The MS500 has built-in interfaces for leading music streaming services including Spotify®; TIDAL; Deezer; Murfie; Pandora®; Rhapsody®; SiriusXM® and TuneIn (services subject to change). Internet radio stations can also be added as presets. Highly flexible, the MS500 offers three USB inputs which allow external storage drives to be connected. Any of the USB ports can also be used to connect an external component with a built-in DAC; utilising this external DAC, one additional independent audio zone can be created. The MS500’s Linux-based operating system brings welcome stability and is also extremely responsive to user inputs. The operation is via the included remote control, a web browser or with free apps for Apple and Android devices. The streamer is compatible with many popular home automation systems allowing for easy integration into an existing set-up. It features a timeless black glass front panel, illuminated logo and aluminium end caps in the classic McIntosh design.